Yesterday we reviewed the first bunch of DC’s new 52 logos. There were many average designs, some losers and a few winners. Let’s see what this second batch looks like. Tip: click on the images to view a larger version in a new tab or window. Looks unchanged other that it has a gradient added. I’m not a fan of gradients for print design. They work on a screen but less so in print. Unchanged. Again, I think it would be better without the gradient. Looks like it’s part of the family. Nothing to write home about but functional. 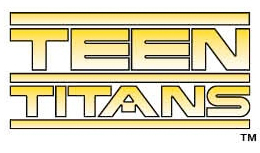 Essentially the same as Green Lantern but the type is more angular. Makes sense. I think these Green lantern fonts should be carved out a little so that the letters have more negative space. Photoshop effects do not a good design make. This is a piece of garbage. But this is how you apply good design. This was not simply typed out and skewed. 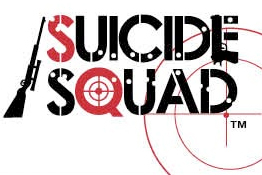 The type was tweaked after being skewed so as to make look as if it was built to spec. One of the best of the bunch. What the hell happened here? The type itself is mediocre and illegible. 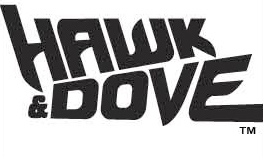 And I could tolerate the distress but why shove this over a logo mark of Hawkman? This layout makes a mess out of both the logo mark and the logotype. Nothing innovative but it’s safe to assume this was designed to appeal to a specific target market. In that sense this is good design. Makes sense that the flagship title has one of the better designs. This is how you make simplicity in design work. A smart brand this one is. Hard to go wrong with helvetica. Not a fan of these Halloween fonts. They come across as desperately trite. Typography is good but I don’t know what’s going on with the blue stain. What are we supposed to be looking at here? Again with the arbitrary distress. Not to mention a thinly veiled reference to LOST the TV show. This is a successful design. Appropriately futuristic. This has a good parallelogram layout and I can see this logo being used in many contexts. Very classy brand. Good but I feel it’s missing a little something to be great. I find myself trying to figure out where I’ve seen this type of brand before but I can’t put my finger on it. I wonder how they’ll pull off the type masking when they have to put this on a similar colored background. You can easily reverse the value of a color but this looks like the letters actually contain a photographic element. They might have painted themselves into a corner a little bit with this design. Unexpectedly retro. I like the design but am not sure it will fit the tine of the book. Isn’t this supposed to be DC’s Iron Man? This is a piece of garbage. Again, it looks like a logo designed to appear on a TV screen and a bad one at that. This has serious legibility issues and the style is mediocre. I’m not sure what to think. The look in tandem with the title referring “outlaws” leads me to think this book will be a modern western story. Is that intentional? Someone either knows their Hitchcock or their design history. A bit of an obvious reference but I think it’s well done. 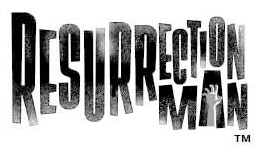 I like how this is dynamic not only in how each letter is slightly different sizes but also part of the word “resurrection” is at an overall reduced size. This logo has a lot of movement. Clever to have the hand jutting out into the “A” as if rising from the grave. 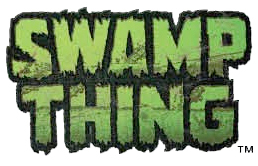 Here’s another TV logo. But this one is good! But it’s still not a logo meant for print. In a highly simplified form, this would be a very good design. Not spectacular. I like the idea of the “O” being a sort of compass or radar with lines emanating from it. But I question the need to fill the “O” to complete the visual gag. This is not a logo. It’s a curling rink. Why mess with something iconic? Slight update to the classic. The distress makes sense in this case. Not much going on here. This one too needs to be carved out a little to increase negative space. Is that stylized “A” supposed to reference some part of TT lore? Very nice! This word almost designs itself. Undecided. It certainly does look more playful and youthful. I’m pretty sure I like it but I’ll have to see it on the covers to make up my mind. So what are your favorites from all the 52? awesome rundown. i would have though they would try to get them all perfect with this relaunch being as big as it is, but on some of these they just cut corners. Just a tip the logo for Justice League International, the blue inking is in the shape of a standard map of the world with N America on the left and Europe and N Africa on the right. Oh I see! I did not pick up on this upon first viewing. Thanks!